A Vietnamese conglomerate is entering the cashew market with possible deals in West Africa for more than a 10th of global output, a bold start to take on the US$7billion industry’s dominant buyers such as Olam International Ltd. In a fractured sector with dozens of producers, the purchase of such a large amount of cashew by a single company could sway prices in a market that’s not traded publicly and is dominated by a handful of traders. It could also offer poor, small-scale African farmers better assurance that their crop will be bought. Hanoi-based T&T Group JSC, which holds investments that range from motorcycle parts to banks and real estate, will purchase 200,000 metric tonnes of raw cashew this year from the world’s No-2 producer, Ivory Coast, said Adama Coulibaly – head of the local Cotton and Cashew Nut Council. The volumes may increase to 400,000 tonnes in coming years, T&T said on its website. The company is also in talks with producers in Guinea-Bissau, Africa’s third-largest grower, to buy a further 50,000 tonnes of nuts this year, said Jaime Gomes, the head of a farmers’ association. Global output of the kidney-shaped nut, coveted in Europe and Asia for snacks and baked goods, was 3.3 million tonnes in the 2017-18 global harvest – of which Africa accounted for more than a half, according to the International Nut and Dried Fruit Council. To be sure, T&T may struggle to fulfil its agreements because newcomers typically take time to establish infrastructure and build distribution channels, said Sampat. Singapore-based Olam took years to build a network of farmers across Africa, and runs its own processing plants in Asia. 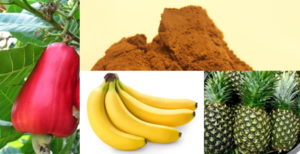 If T&T goes ahead with its cashew purchase of 50,000 tonnes in Guinea-Bissau, it already signals a come-down from a preliminary agreement in August to potentially buy the country’s entire crop for 10 years. A representative for T&T declined to respond to questions: emails to Chairman Do Quang Hien remain unanswered. 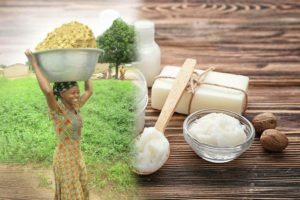 Regardless of the potential pitfalls of a deal, farmers in Guinea-Bissau are optimistic that a large purchaser would cut out layers of intermediaries and give them a bigger slice of the value chain. Last year, they were stuck with unsold stock when traders refused to purchase nuts at government’s minimum level after a sharp drop from record global prices – leaving producers struggling to pay for food, medicine and school fees. 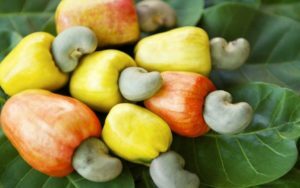 First brought to Africa from Brazil by Portuguese colonizers in the 16th century, cashew has become a lifeline for one of the world’s poorest nations, where the nut accounts for about 90 percent of exports and two-thirds of the population grows the crop to make a living. “This could be good for us,” said Moises Ca, a cashew farmer who lives in an adobe home that lacks electricity and running water, half an hour’s car-ride from the capital, Bissau.